The portable ECO5 Vet has a high quality 12-inch LED monitor for impressive resolution quality and a much wider viewing angle than similar systems in this category. The screen can also be tilted up to a 30-degree angle for even more flexibility. 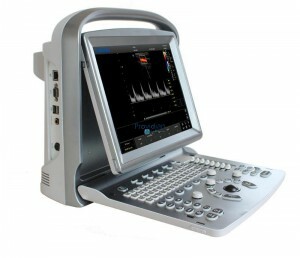 If you are looking for the lowest price on a refurbished Chison ECO5 Vet, UsedUltrasound.com is the place to find it. UsedUltrasound.com has a complete inventory of used Chison ultrasound machines for sale, all backed by a 100% satisfaction guarantee. To receive a no obligation Chison price quote, simply fill out the contact form below.